The Lab is currently under construction and has a goal of opening at the end of 2017 or the beginning of 2018. 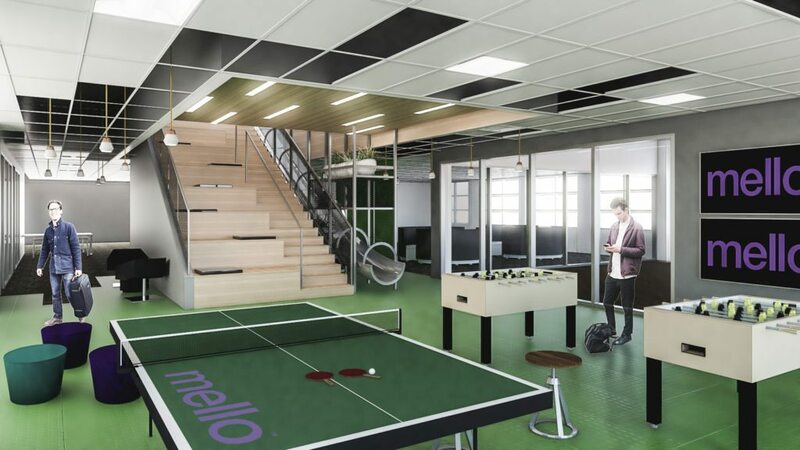 Rendering of the mello Innovation Lab. Applying for and securing a mortgage remains one of the most painful parts of buying a home. LoanDepot’s commitment to mello, along with other players making moves — see Quicken Loans’ RocketMortgage; collaborative digital loan tracker Loanopoly; Bank of America’s online loan navigator and LendingHome’s online mortgage shop — show how the lending space is being targeted for disruption. A spokesperson for loanDepot, Lara Wyss, told Inman that the company is investing in this operation because mello is a “never-ending” project and loanDepot aims to “set the pace innovation within the lending industry. “As someone just moving from Silicon Valley to Irvine, I can say that the office space needs of tech people are different from those of loan officers or other support functions like marketing,” Wyss said. As mello is still in the “rollout” phase, loanDepot didn’t have any updates to share in terms of number of loans serviced or consumers served through the platform. But Wyss added that anecdotally speaking, lending stores that have mello up and running are saying that “consumers are finding it so convenient, and they are getting positive feedback on how high-touch or high-tech of an experience they can customize to meet their specific needs. The word “mello” is an homage to the Greek translation “about to be” and a reference to bringing the lending space into the future. The product’s features include a web-based consumer portal (24/7 consumer access to a secure, online and collaborative forum to upload documents, e-sign forms); a mobile point-of-sale system (enables loan officers to give borrowers accurate quotes, pricing, offers and pre-qualification letters in minutes); and a fully digital mortgage loan application process (the technology works in the background to complete the 1003 loan application in real time). LoanDepot, the fifth largest retail mortgage lender and second largest nonbank consumer lender, has surpassed $110 billion in funding in the seven years since its founding in 2010, according to the company. Inman also asked loanDepot whether the $80 million invested in mello also covers the tech campus, or if it is an additional investment. We’ll update the story accordingly.